NEED AFFORDABLE SEO? LET'S TALK! This is a starter package that continues for 60 days and is suitable for entry-level services to enhance your online presence. This package will optimize your business online by crafting basic local link building, managing your brand’s presence within online directories and enhancing your Google My Business (GMB) listing using industry standard practices and proven optimization techniques. Longtail, and Buyer Intent Variations. At the end of each month, a monthly summary of your campaign is provided to you which reflects the progress of our monthly campaign efforts. These tasks are managed in an online project workbook. We share this information with you via our cloud storage service that will back up all the creative assets, reports and monthly deliverables. Persistent crawling and reviewing of Google’s indexing and rating of your brand’s visibility online. This review helps us to maintain the accuracy of your brand’s information across multiple online platforms and to determine where that information requires correction to ensure that your business is fully optimized for your local SEO needs. Removing redundancy is a prime tenant of our strategy for all of our clients. 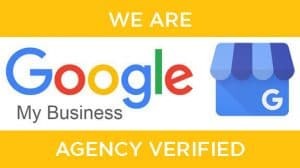 We utilize a deep dive into prime citations that drive your business’ online reference information which is evaluated by Google to create a correlation to the authority and legitimacy of your brand and website. This information is compared against a few of your business’ top competitors to create better secondary citations and remove duplicate citations. Applying, updating or correcting your business’ online information, creating web links to and from your brand’s social profiles, optimizing your site’s keywords and phrases, and updating your brand’s logos, photos and videos across all services as needed. There are 4 main data aggregators in the USA and we use all of them. We submit the information relating to your brand to the following aggregators: Localeze, Acxiom, Factual and Infogroup. Then follow up to make sure the exact NAP information is being pushed. Citations are utilized to maintain the proper indexing of your brand’s information and online identity across multiple platforms and listing services. Because this is essential for your brand’s awareness, we improve your listing across the top 45 business directories, such as your city’s Chamber of Commerce, Yelp, Angie’s List and many other web directories. Your presence and citations on these platforms are driven by crafting unique content and creative assets such as photos, videos and logos, that lead back to your website. We also develop 40 Secondary Citations that are locally driven to craft a holistic strategy around your brand’s digital footprint and NAP (Name, Address and Phone) business listing. Beyond creating an embedded map and custom, local SEO links, we will also write a premium, local press release for distribution to over 450 outlets for news and media. We distribute this through affiliated websites and news channels such as Google News, CBS, Fox, ABC, CW, NBC, Wall Street Journal, NEW YORK TIMES. WASHINGTON POST, USA TODAY, LOS ANGELES TIMES and many others! Understanding competitors in the marketplace helps to create differentiating strategies to uniquely define a client’s brand positioning and facilitates the creation of new drivers to differentiate you from your competition. We take this a step further by researching and optimizing the categorization and listings identified with your brand and compare them with your competitors. We utilize the best, targeted keywords and categories that generate high ranking results to achieve relevant local awareness. This includes map creation and pin placement, hours of operation, address and accurate NAP information for your business. We conduct GMB Photo Optimization for your brand’s service and/or products that are offered by creating and uploading over 20 images to your GMB index. Utilizing GMB, we provide Products and Service Updates and posts highlighting new or changes to the brand’s products/services. These are engagement pieces that directly affect the click-through rates for the brand’s website and presence on other social platforms. Higher click-through rates generally lead to more awareness which means more interaction and business with your customers and overall SEO rankings. Additionally, the brand will have its presence online enhanced by embedded Google My Map citation updates. These citations are submitted on behalf of the brand, but the system is managed by Google. This information is curated to help generate the directions from multiple key points in the city your business resides in that will influence your local ranking. The information provide follows the exact requirements that Google recommends with precise NAP information, geo-tagged assets such as photos and videos, category names and directions to and from major landmarks or arenas in your city. This Advanced Local SEO Optimization Service is maintained for 120 days and is suitable for companies with a stronger competitive need in medium-sized cities. This package will greatly enhance your business’ online presence by providing all of the 60 day SEO support options listed above in addition to advanced GMB ranking techniques. With your business being listed for 120 days, you will find an increase in your overall ranking, competitive search results associated with your business and enhanced brand awareness for consumers that are looking for your service. This package includes 80 total citations – twice the amount in the 60 day package – which are crafted around your company’s online activities and brand building efforts. We ensure a personal level of attention to your business listing by creating your listings with complete NAP and other relevant information. When selecting the 120 Day SEO option, you take the next step of increasing the reach of your brand’s information as we include your company’s listing with 6 GPS or GIS mapping and positioning data platforms. A deterministic approach was used when selecting these 6 service platforms with an eye on crawlable databases and/or mapping platforms that can be indexed. The breadth of your brand’s authority starts to grow as we create 40 branded links amongst 4 targeted URLs within a developed local link strategy framework that utilizes web 2.0 services such as social engagement and online media sharing sites, high trafficked community profile sites and online industry directories. Over the 120 Day period, we improve the social awareness of your brand by staggering its correlation with niche connections to 14 specific social accounts that are relevant to your overall network and industry. Usage of online map services like Apple Maps, Google Maps and Waze are growing at an exponential rate. Along with this increased growth is our ability to place your business on these services to help you grow with it. We place your business listing on these services to take part of a growing need to be associated with many services that help consumers find their way to you! Another growing area of online search and business listing services is Bing Places. While its reach and usage has yet to hit the levels of GMB, there is still a steady and increasing trend of users that choose this service. We place your brand with Bing Places to capture this segment and to enhance the awareness of your goods and services with this growing consumer usage segment. We fully build on the Google My Maps platform by aggregating mentions and citations about your brand via this tool. This is manually done in order to create multiple touchpoints that utilize mentions from your customers about your business which is then spread amongst local IPs that capture this data and reproduce this information across many other connected services. Utilizing Pinterest’s social platform, we build unstructured citations and create optimized boards within your locality that greatly enhance your brands touchpoints with Pinterest’s highly leveraged social platform. Stacking the authority of all your brand’s properties on Google’s network of services, such as YouTube, shared Google Documents, Maps and the Blogger platform; we complement this with your unique NAP and pair it with an interlinking strategy that will boost your brand’s prominence, online ranking performance and map ranking. Unlike the 60 Day option, this local press release will be inclusive of an embedded map and links customized for your business for your local SEO initiatives.